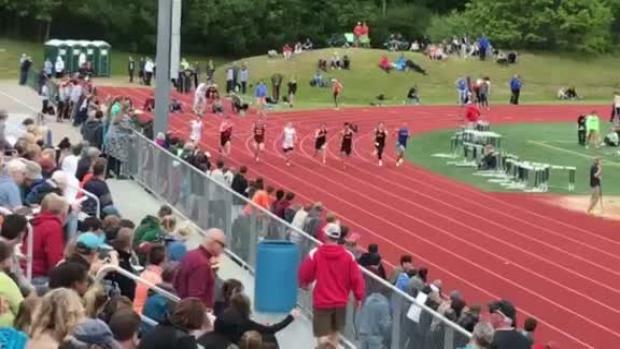 The 4x400m relay at outdoor states this year. Coming into the event, we knew that a top 3 finish would secure the team state title. 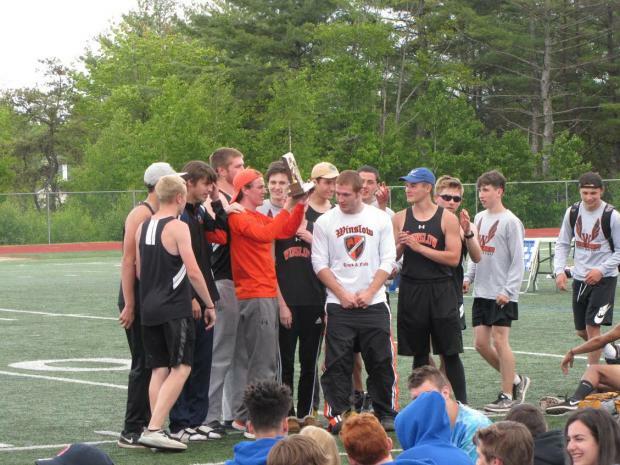 We then went out and not only placed second, but beat our school record. Securing the state title with my teammates and breaking the school record in the process was an incredible way to finish my high school track career. My teammate Jake Warn and I had a nice little friendly rivalry this past season. Jake is an incredible athlete and an even better person, and we had some nice battles this season. It was great having someone to push me in practice and force me to work to improve. I would say winning two individual titles at states to help the team take the team title. I finished 3rd in two events in indoor, and I knew coming into the outdoor season that I wanted to win a title. Being able to win two and help the team bring home the team title was awesome. I really wouldn't change much. I think I gave it my best shot, put my heart into it, and the results followed. Maybe I wish I had taken it more seriously as an underclassman, but I guess I didn't really discover my love for the sport until I was older. I had to learn how to compete in the big meets. Freshman, sophomore, and junior year, I combined to win only one medal at states in indoor. I underperformed in the meets that mattered most. Senior year I finally learned how to handle myself and stay relaxed at states, and I was able to put together some solid runs to earn two third places in the 55m and 200m, and a fourth place in the 400m. I'm really going to miss the bonds that I formed over my four years at Winslow High School. I was fortunate enough to be surrounded by some great teammates and I'm really going to miss seeing them every day. 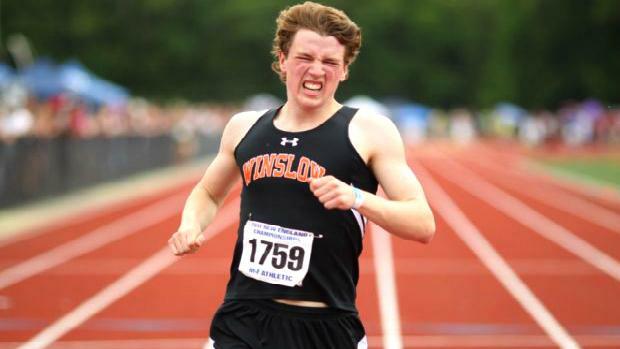 I'm also going to miss being able to wear the Raider black & orange when I run. It has been a privilege being able to represent the Winslow community and I hope to keep representing them well in college. If you want something, go out and get it. And if putting in the work is such a chore, then maybe you don't love what you're doing. For me, putting in the work has been easy because I love the sport. I hear a lot of people say, "I want to improve, but I don't have the motivation." Well, if you don't have the motivation, then you probably don't care enough. My coaches have been great in putting myself and the entire team in the best possible position to succeed. My coach has also been a great friend who I can joke around with and have some fun. I will be running at Colby College this year. Go Mules. I would like to say thank you to my coaches for all that you have done for me the past four years. I would like to thank my parents for supporting me through my track journey. I would like to thank the entire Winslow community, including all teachers, parents, and friends. The support I've received has been incredible and I could not be more grateful. It has been an honor running for Winslow High School, and I'm extremely excited for my new journey running as a Colby Mule.